Andante always true to his word has kicked the Marijuana soaked bot with its addled brain in to touch. From a purely audio perspective, I'm sure it sounds great, but that price is absurd! I might pay $50-75 max. Lop the 5 off the price, and I'll buy. It's Rattle. 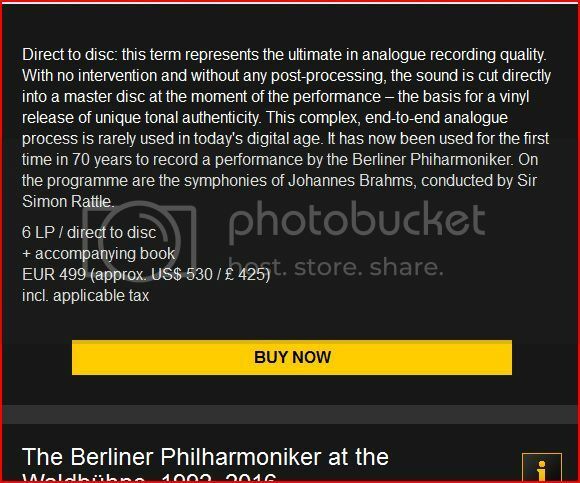 I was going to say put the decimal point between the 5 and the 3 I would probably give it a shot, but only if it is any other conductor with a pulse.